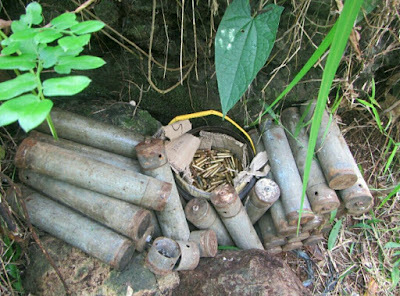 NSFA, Panacan, Davao City – Security operations over the weekend in the different parts of Eastern Mindanao resulted to the recovery of 37 landmines, six high powered firearms and surrender of 17 regular members of the New People’s Army. Planned atrocities of the NPAs were prevented by the troops of Eastern Mindanao Command’s ground units after the five encounters on separate occasions in its Area of Responsibility which resulted to the death of three NPA terrorists. Accordingly, one was killed during an encounter in Bunawan Brooks, Bunawan, Agusan Del Sur, afternoon of February 17, 2018, while the other two were killed during a pursuit operation on February 18, 2018, at the same place. Follow-up operations also led to the recovery of three AK-47 rifles. On Sunday morning of February 18, 2018, seven of the 17 surrenderors yielded altogether to 66th Infantry Battalion in Barangay Cabinuangan, New Bataan, Compostela Valley. A certain alias Joan and a minor identified as Eman also surrendered on a separate occasion to patrolling troops in Sta. 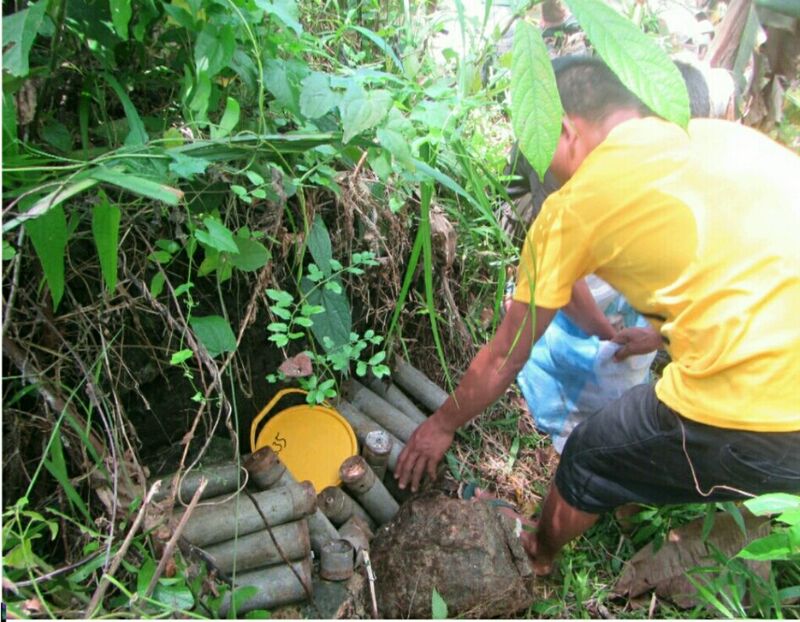 Emelia, Veruela, Agusan Del Sur yielding one complete set of "landmine." Alias Joan said that they were abandoned by their fleeing companion after she was wounded in an encounter with the 26IB in the same place on February 10, 2018. Meanwhile, 34 pieces of "landmine" were discovered and recovered by patrolling troops of 16th Special Forces Battalion in Bitaugan, San Miguel, Surigao Del Sur late afternoon of February 16, 2018, after acting on the information given to them by the local populace. Lt. General Benjamin R. Madrigal Jr. meantime expressed his appreciation to the cooperation of the security sector and the communities. "These results are testimonies not only of the seriousness of the government to monitor and prevent the NPA’s terrorist acts but also a proof that good collaboration with the communities is working to bring peace in the different communities. We continue to call for the sustained vigilance, cooperation, and active involvement of the communities with our security forces as we continue to work for sustainable and durable peace," Lt Gen. Madrigal Jr. said.